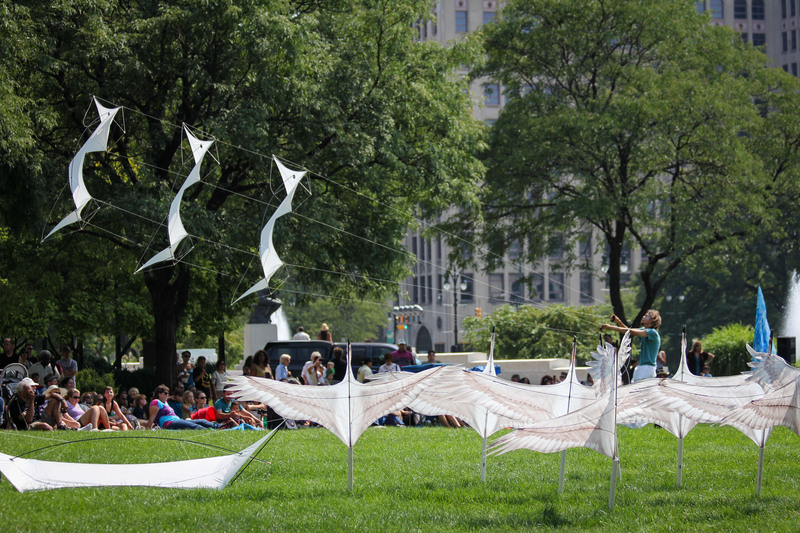 What a gorgeous and moving treat this past weekend at the Detroit Institute of Arts! 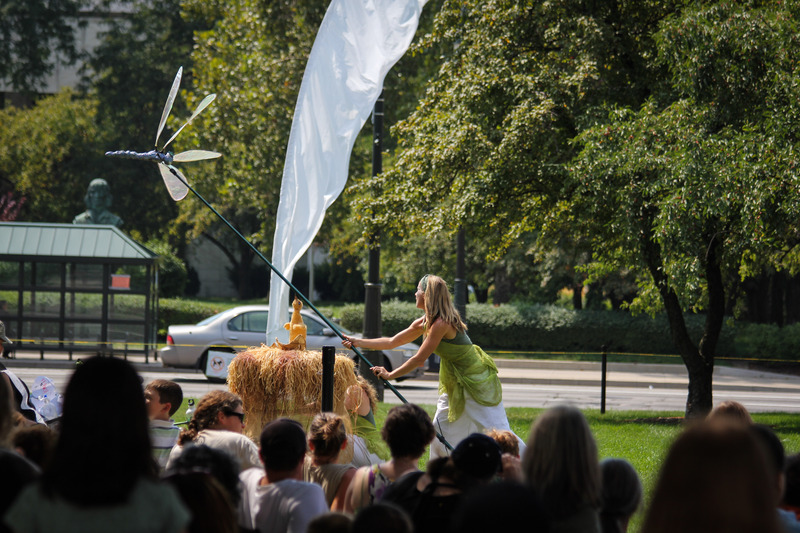 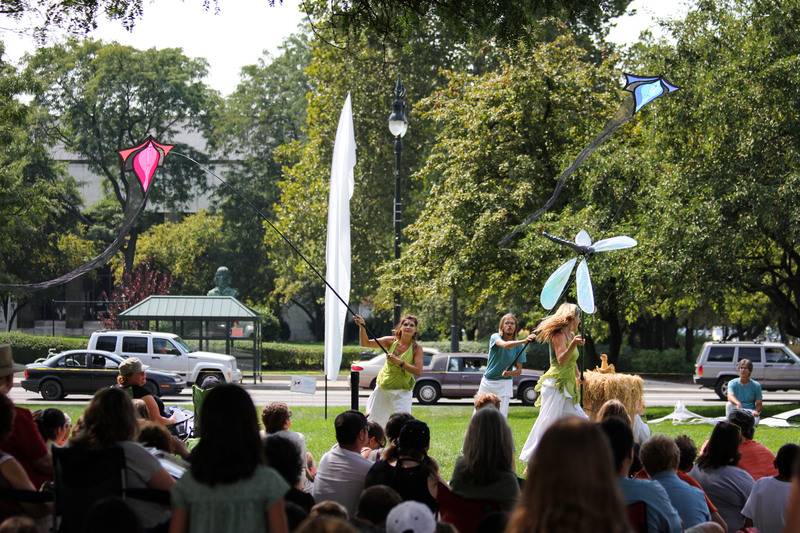 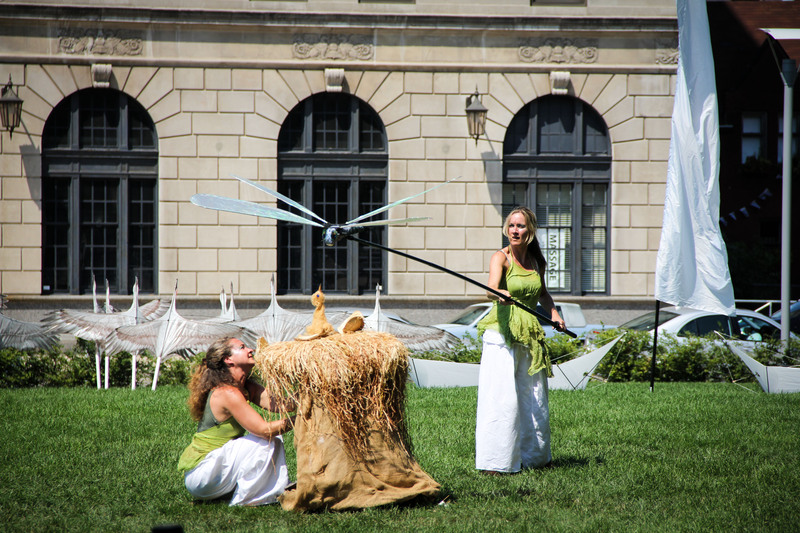 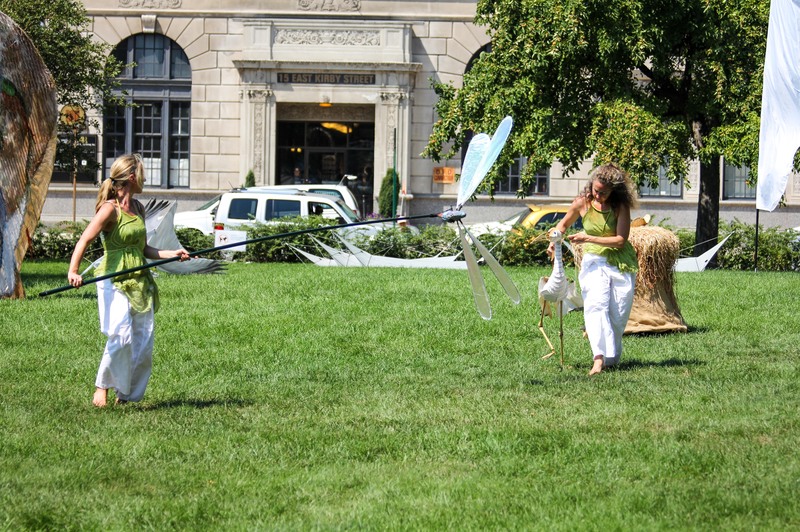 Heather Henson, (pictured at left, above) whose father Jim Henson created Kermit the Frog and all the other muppets, brought her puppet and kite show called “Celebration of Flight” to the museum’s north lawn. 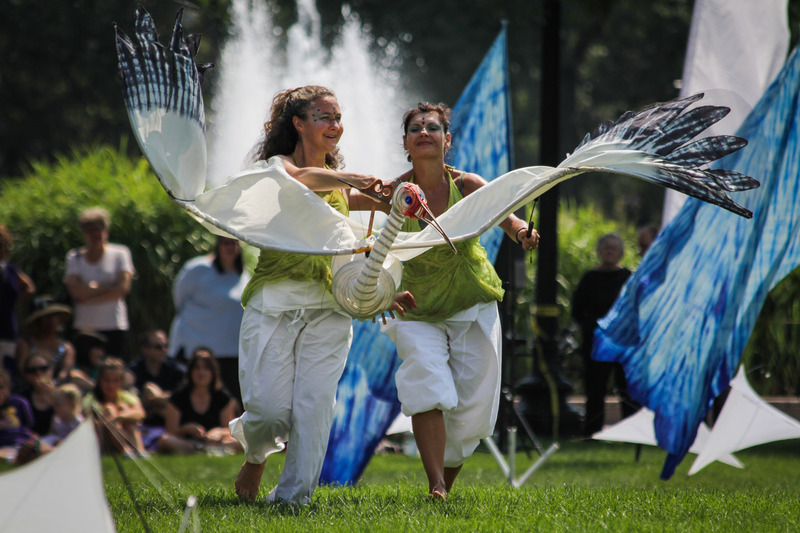 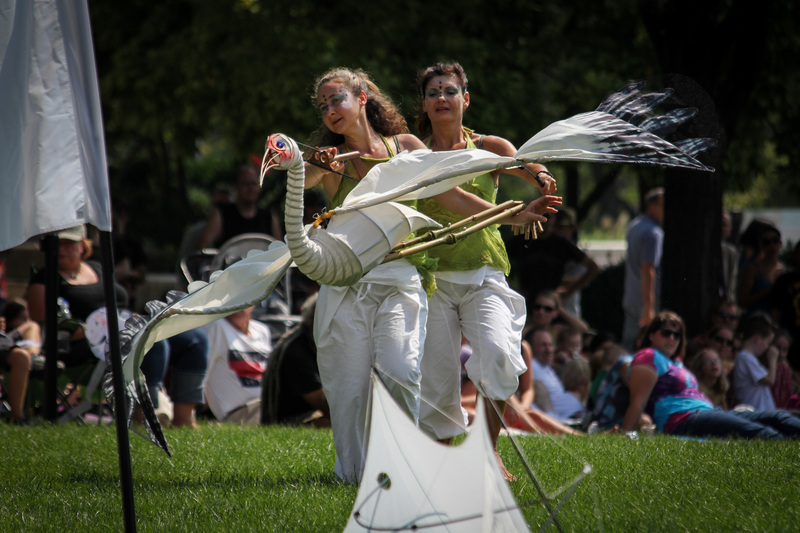 The show, produced by Ibex Puppetry, tells the story of a crane that learns to fly, and is a spectacular combination of large-scale, life-like puppets and kites handled by dancers who manipulate them to music. 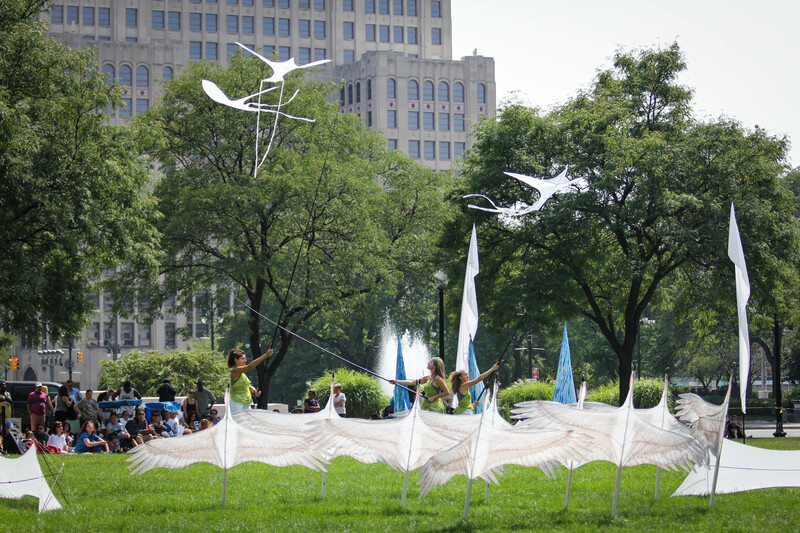 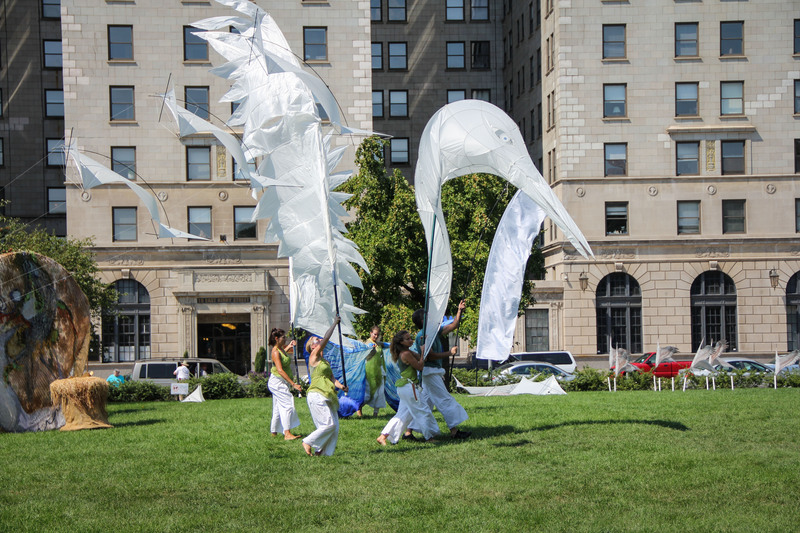 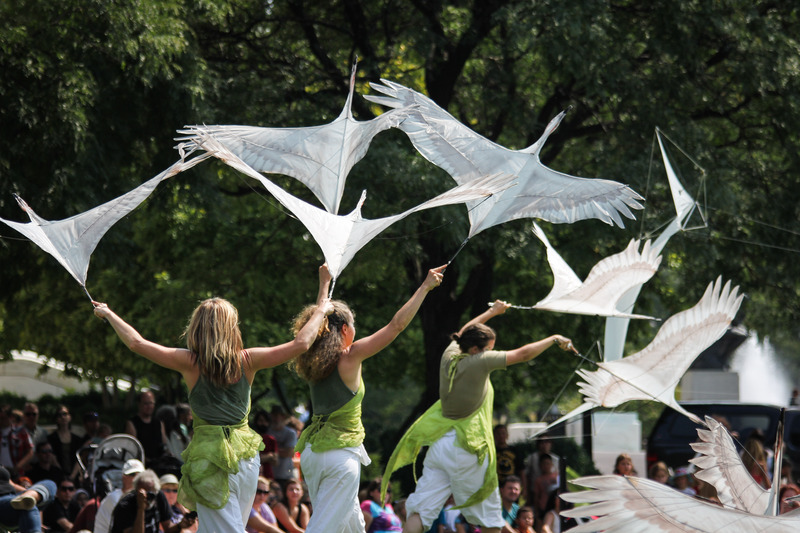 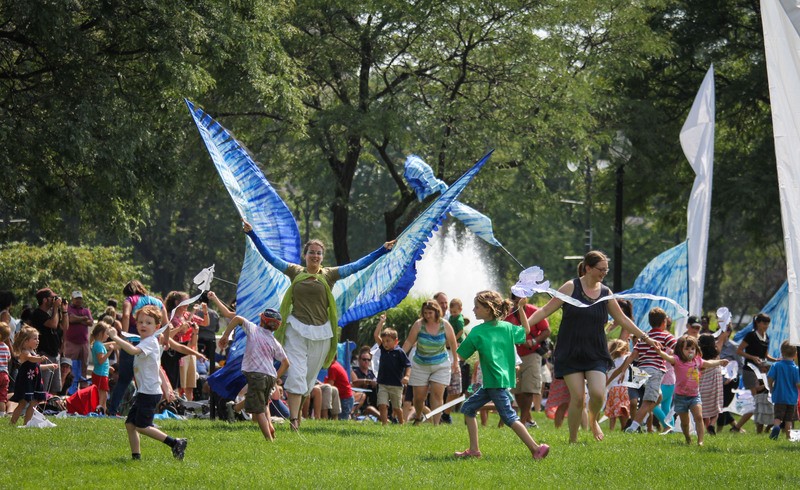 At the end, as the crane becomes a fully mature adult, the dancers welcome children from the audience who join in the performance with their own, hand-made kites. 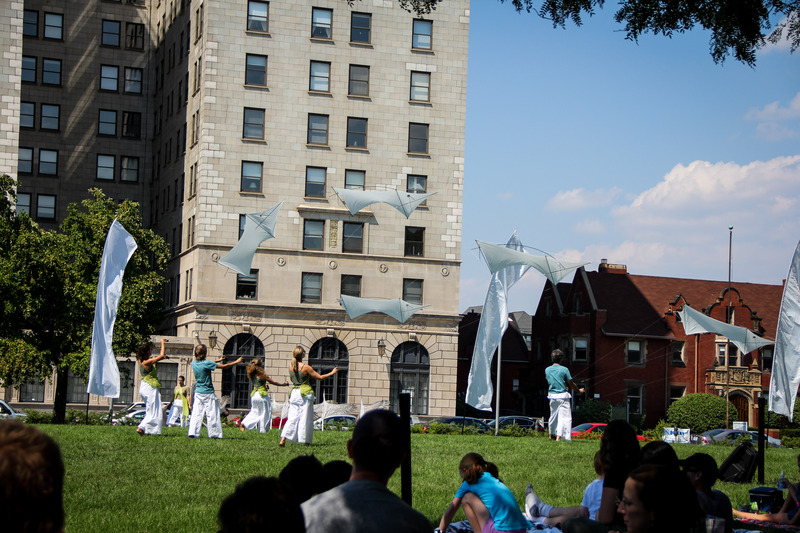 It was fascinating to see the kites and the puppets and the dancers, but also jarring to have it all unfolding in such an urban space, surrounded by the stone facade and arched windows of the Park Shelton on one side, and the museum’s lush green landscaping and the Maccabees building on the other. 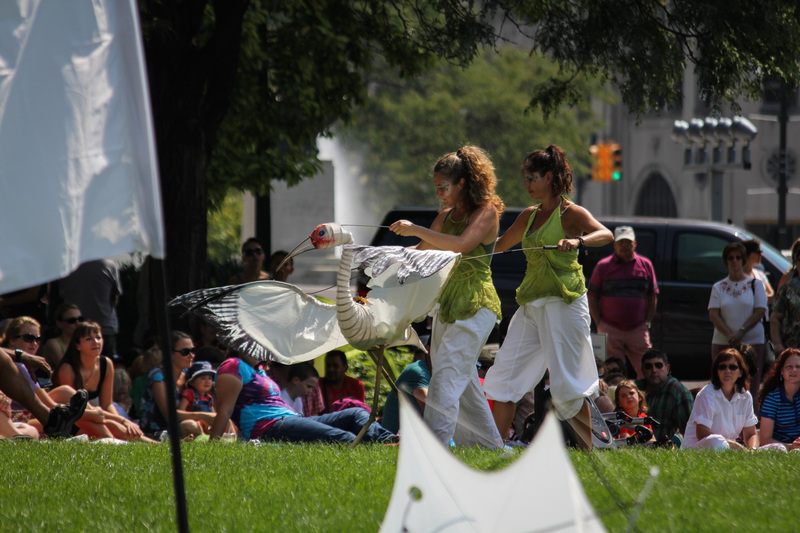 In the show’s early sequences, the crane is a baby who’s visited by other flying creatures. 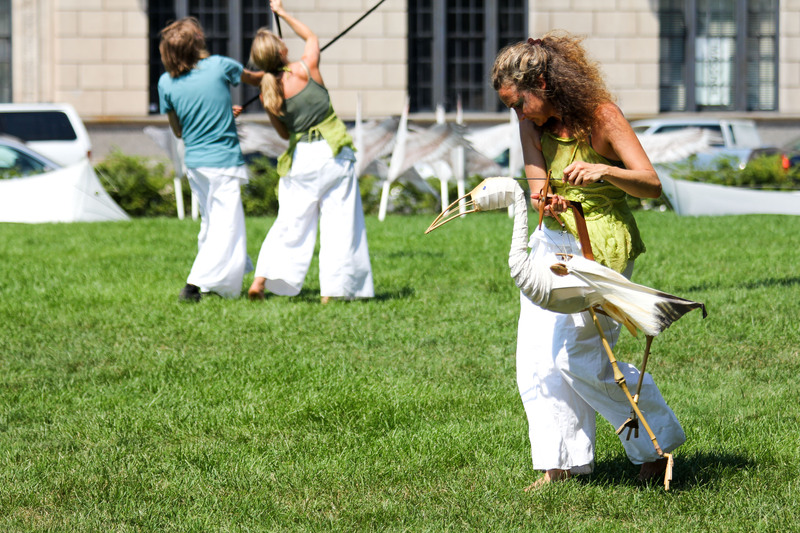 As the crane gets bigger, it learns to walk and encounters other visitors. 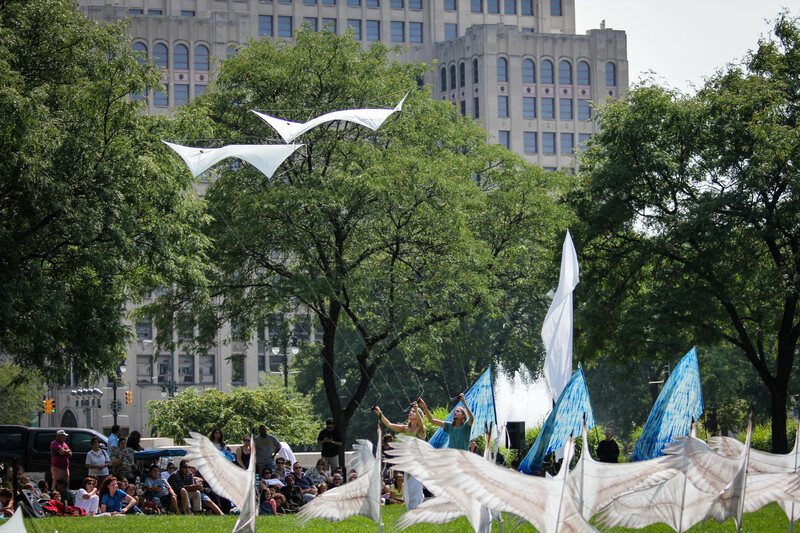 Kites take over much of the middle of the performance, and they’re flown with astounding precision and coordination. 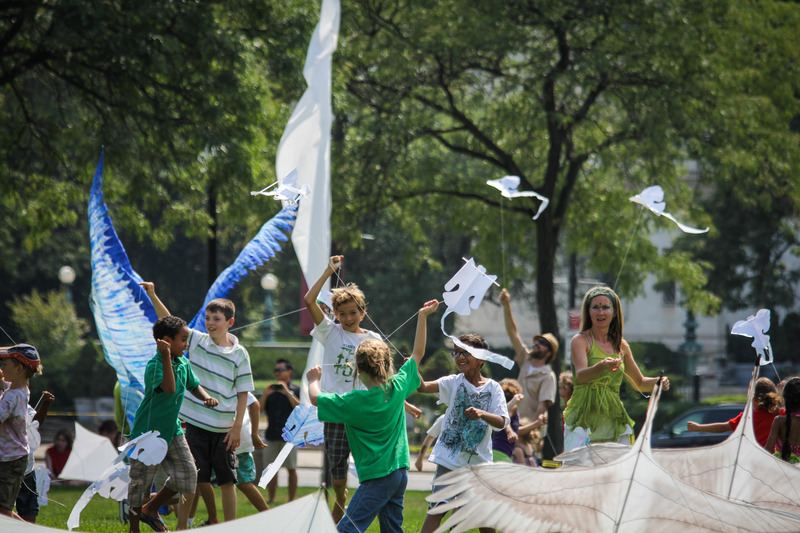 The bird finally learns to fly once it’s big enough. 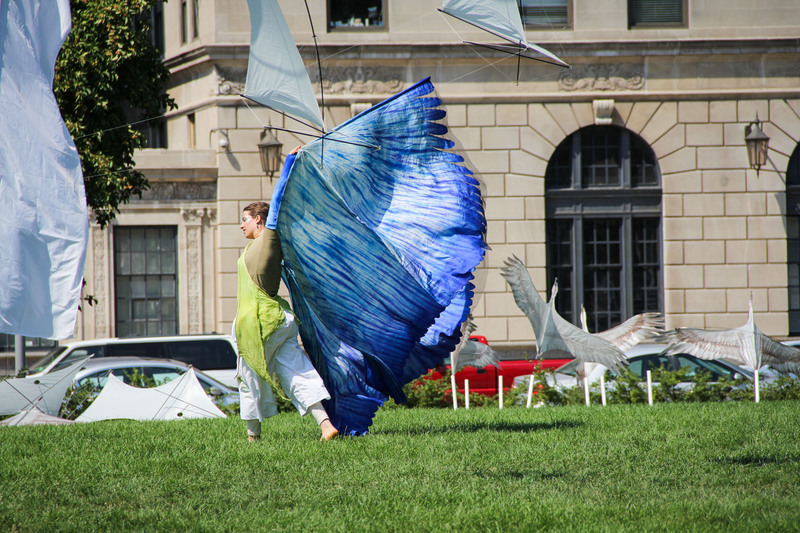 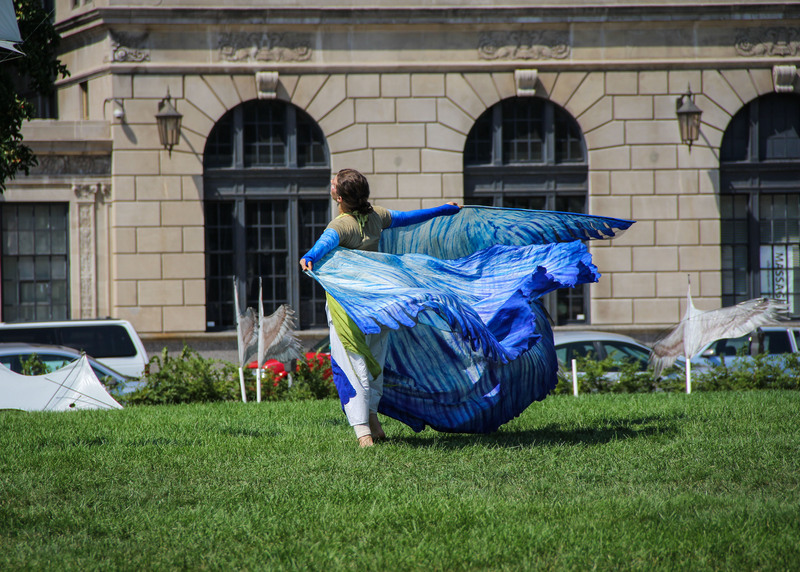 A butterfly’s dance greets the crane’s new-found flight skills. 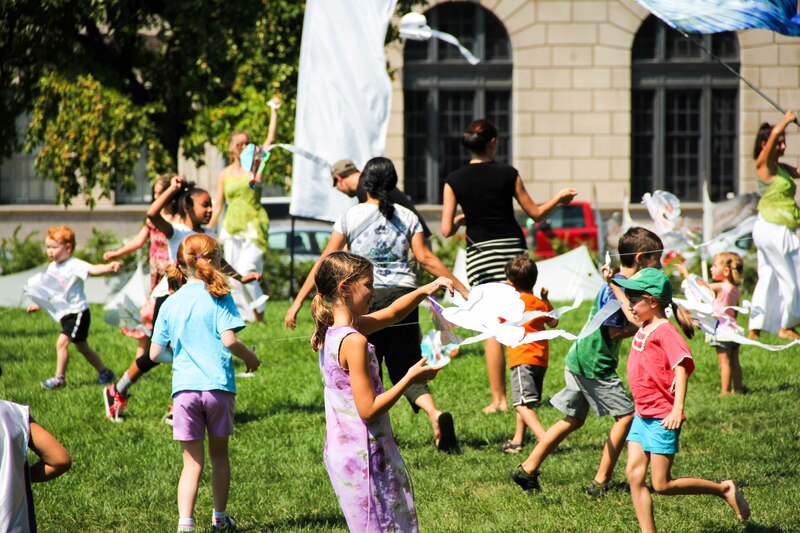 … And the children join in. 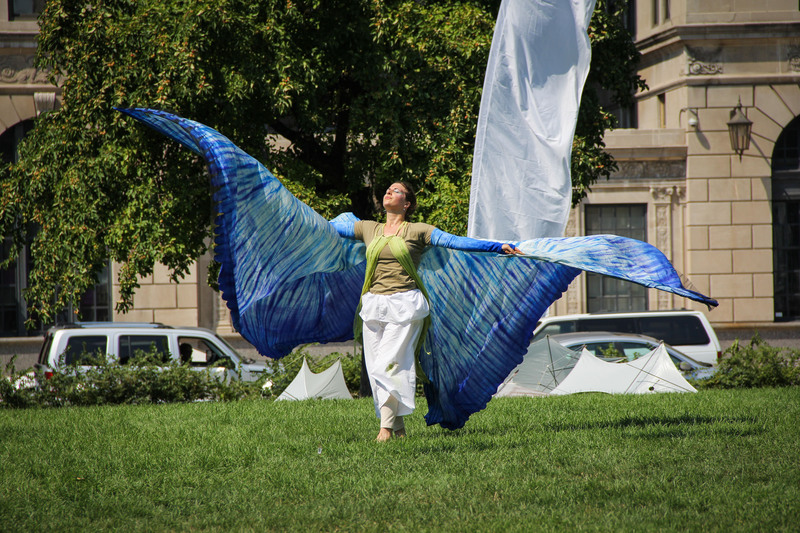 How beautiful. 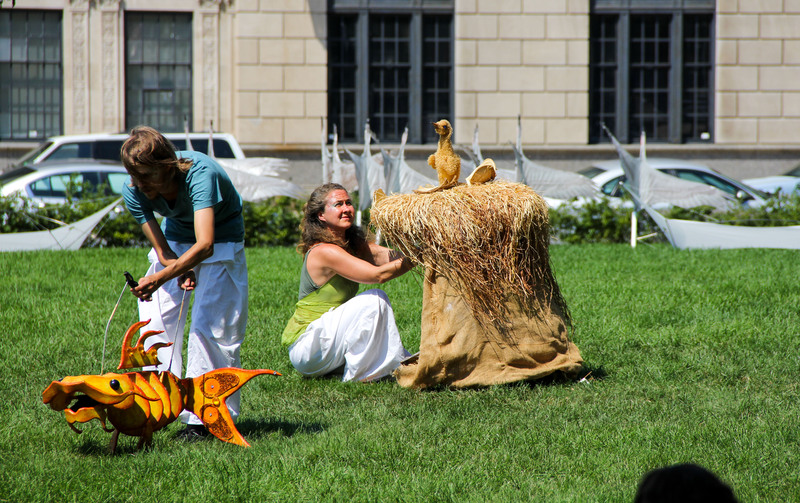 It brought tears to my eyes just to see the pictures. 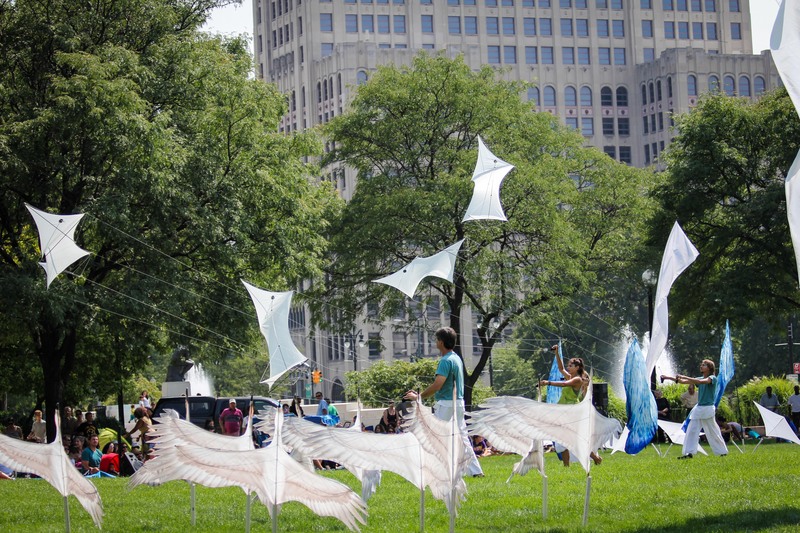 I hope they will come back to Detroit again. 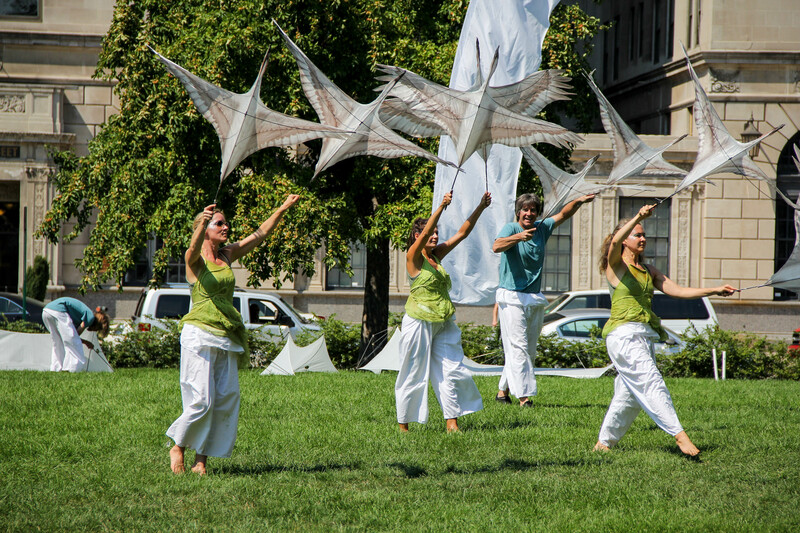 Unfortunately i was not able to attend, but the pictures are beautiful and the weather was as well.